What ‘church’ do they represent? 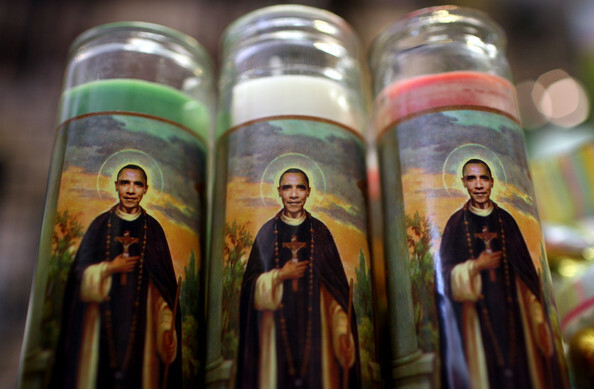 The 'church' of da' gay Mack Daddy "rev" Barack Hussein Obama? “Pride”, “gay”, the rainbow, etc. How many more words and symbols must these people hijack? Atlanta is a city in its own... Not like the suburbs. If it was just Atlanta voting, it would all be democratic. It’s also a haven for the gender neutral ... midtown. But the suburbs is where the voters have sense and vote Republican... enough to elect a GOP governor again. My post was in reference to the church that changed “This Little Light of Mine” to praise Obama in 2008. And the churches, (you know they exist), that preached support for Obama. Church has become a meaningless term in the zombie age. We met her 30 years ago in Buckhead at a Media event my wife had to attend. All these things just boggle the mind. Of course, we knew that Democrat politics had crept in. I don’t doubt it. I’ve surmised so many of these powerful leftist people have sold their souls to Satan. Anybody have reliable polling on this race? I know lots of folks from GA and cannot imagine them electing a socialist RAT as governor. I saw on FOX this morning that she urged people to vote for her saying the blue wave has black and whites, rich and poor... immigrants legal and illegal..
pervert, degenerate, PC cuck, soy boy, and butch dyke in Dixie. I thought June was their month. No? For reasons I have never sought to learn, Atlanta does Pride in October. Brian Kemp will win handily.